Accountability Challenge Week 42: Focus. Knowing what you need to do to achieve your goals, and actually going out and doing it are two completely different things. Most of us (myself included) know what we need to do to get into better shape physically, or financially, or in our relationships but we don’t always do it….do we? To me personally, this is one of the biggest challenges that I face on a daily basis. 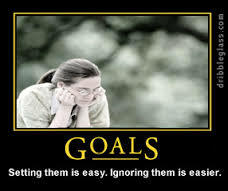 I consider myself a goal oriented person, and have successfully completed many BIG goals in my life. However, I am regularly left with the feeling that I am capable of achieving so much more, particularly when it comes to my business and personal goals. I allow my own negative Power of Resistance (procrastination, avoidance, fear: e.g. “but what will they think”, self-doubt, worry etc.) to prevent me from moving forward more consistently in the direction of my goals. What’s the deal here? I mean I have a strong desire to achieve my goals in life and to enjoy more success in my life. 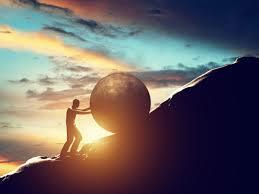 What is it that I (and just by chance you too) need to do differently to enjoy more success in my life, and achieve even more of the goals that are important to me? The answer came to me….in an email I received today. The answer is as simple (and as challenging as) focus. This is certainly not the first time I have received this life alternating truth-as I mentioned each of us “know” what to do we just don’t do always do it. 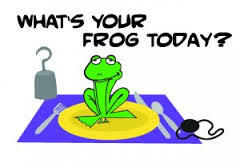 The answer came to me from Anne Bachrach, a wonderful Accountability Coach for Financial Advisors and Entrepreneurs that I have referenced in the past. I thought I would share with you Anne’s 4 steps to Increase the power of your focus. The challenge will not be reading up on the 4 steps, that’s the easy part. The challenge, and ultimately the reward will come from actually following through on implementing the 4 steps. After all isn’t this what the power of persistence is really all about? I look forward to your comments on the article and to being of service to you. Living your life without practicing The Power of Focus, is like trying to hit the bull’s eye of a target you can’t see. You can spend hours launching arrows, only to miss the target entirely. 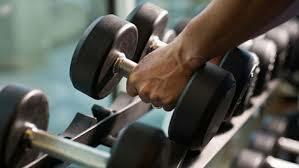 You become exhausted and frustrated when your repeated efforts don’t show the results you are trying to achieve. This is what it feels like to operate without The Power of Focus. The Power of Focus is the practice of focusing on the ‘right’ tasks at hand, while minimizing distractions that take your focus away from your goals. It will improve time management, professional and personal performance, task efficiency, overall life balance, and provide your mind the information it needs to get you to the bull’s eye. When you focus on the ‘right’ activities that lead to ‘big’ goal achievement, you will succeed. 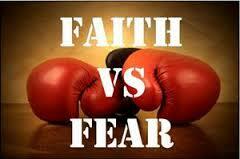 A client of mine set a goal she was afraid to set because she had never been successful at achieving it before. We brainstormed a list of what we thought were the ‘right’ activities she needed to do in order to achieve this particular goal. She got focused on these activities, did them, and exceeded her goal! The same thing can happen for you when you focus on the ‘right’ activities. Step 1. Create a Long-Term Goal List What are your Long-Term Goals within the next 3-5 years? Within 10 years? They can be anything you want – but they must be what you really want. Your Long-Term Goals should go far beyond your comfort zone and how you would ideally like to see your life. Asking to retire rich isn’t specific enough – you must include as many details as possible along with the date you would like to achieve each goal. Step 2. Create a Short-Term Goal List. What are your Short-Term Goals? Within one week? Within 3 months? Whatever they are, include specific dates down to the month, day and year. Prioritize your short-term goals and put the goal that is most important to you at the top of the list. When you finish the most important things, move them off your list and do the next one, then the next one. It isn’t the one that is the easiest to do and the one with the least amount of discomfort. It is the one that is the most important to do first that will have the biggest impact on your overall success. Maybe there is a goal you would like to achieve, but you’re not totally convinced you can do it. How do you know if you don’t try? The mind is a goal-achieving machine and can help you do more than you think. Hang your Short- and Long-Term Goals up where you will see them frequently, even many times throughout the day. Remain mindful of your goals as you go about your day and read them aloud every morning and every evening before going to sleep. Your goal lists serve two purposes. First, it uses The Power of Focus to help you concentrate on what you DO want so you can work on making it a reality. Secondly, they serve as positive reinforcements. When you can cross off a goal because you achieved it – you feel good! Then you have room to add new goals. Step 3. Create a Daily Task List / Prioritized Action List (PAL) At the end of each day, create your Task List for the following day. Prioritize your tasks in order of importance, with the most important being at the top of the list. The following day, start with the number one item and work your way down the list. At the end of the day, you will have completed your tasks with improved organization and efficiency. This is the part where most people run into trouble – they hate making a task list! And that’s OK, you don’t have to like it – but it is necessary for your success. Why? Because successful people practice The Power of Focus every day and a Daily Task List is part of that regiment. You must be an active participant in your life and take responsibility for those things that you must do. And it’s easier to do that when your tasks are staring at you in the face! You can’t conveniently forget about them…You suddenly become accountable for your actions, and knowing that this is all part of the process of becoming successful. Step 4. Calendar Everything and Honor Thy Calendar Once you have your tasks listed, put all your activities on your calendar. Determine how much time it takes to do each activity and place them on your calendar. A good rule of thumb is to add a bit more time to what you think as it may actually take you longer. If you are like me, I always think I can accomplish more than I actually can in the time allotted. To prevent you from falling behind or feeling frustrated if you do take longer than you think, just give yourself a bit more time up front. If you complete the activity ahead of schedule, you can easily move on to the next task. The Power of Focus is more than just goal-setting exercises. It is a process in which you develop a crystal-clear vision of where you want to be, so your goal-achieving machine can make it a reality. Remember, your subconscious mind is a goal-achieving machine. It is exactly that – a machine. It reacts to the information fed to it – no emotion, no judgment. This works to your advantage or disadvantage. The subconscious mind doesn’t know how to judge the information it receives, it only reacts to it. Whatever you feed your mind will become your reality. This is why practicing The Power of Focus every day is so important. Focus on your goals, and your subconscious mind will actually support you in taking the right actions to get you to your goals. When you are living with your goals in mind, your subconscious mind is working to make it a reality. Practice The Power of Focus in your daily life and give your mind the chance to do what it does best – be a goal-achieving machine. 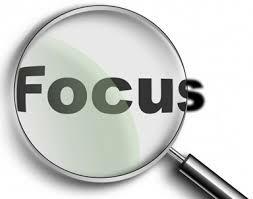 Use the Power of Focus to achieve all your goals and live your dreams! Let me know how else I can help you in your goal achievement journey so you can achieve your goals and enjoy a balanced and successful life. Accountability Challenge Week 41: “Persistence”. What does the Power of Persistence mean to you? I choose to call this 52 week accountability journey that we have been on “the power of persistence”-but what does Persistence really mean? Here is what the dictionary has to say about it…. Refusing to give up or let go; persevering obstinately. These definitions are all and true. To be persistent means to keep on keeping on, especially in the face of adversary. However, to me, the full meaning of the word “persistence” goes well beyond these simple definitions. To me Persistence is a powerful positive force, and state of mind that encompasses all of good that we strive for in our lives. It is from persistence that we gain the strength to pursue our passions, our purpose our potential. It is from Persistence that we gain the strength, courage and hope to overcome our fears, our doubts our demons, our Resistance. It is from Persistence that we find the desire, the energy, the focus, the faith to take continual action towards our goals and dreams. It is from Persistence that we close the gap between our untapped potential and our performance to date. It is from Persistence that we tap into our authentic selves for perhaps the very first time. To me Persistence is life! At least the ideal of the potential that exists lies within the heart and soul of each of us. What will you do today to persist in your goals, dreams, visions, values, passions and purpose? This week I wanted to share with you the real power of accountability and support when used effectively. I call this the Power of the Performance Group. If you’ve stayed connected to us for the last 40 weeks, then you know how important the power of personal accountability is in achieving your goals and dreams. When I look at some of my “big, hairy, audacious goals” –particularly in my business-I have fallen short. Why is that? 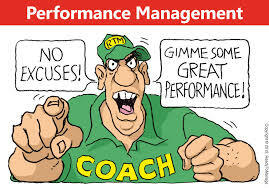 Let me repeat that, creating a Performance Group (there are currently three of us in the group)has been by far the most effective performance enhancing tool I have ever used! I admit that there was a tremendous amount of personal Resistance (otherwise known as the enemy within) on my part in organizing this performance group. After all, I had known about this concept (in theory) for ten years. My internal demons were doing their best to convince me otherwise: “you will never find a group of people who will commit to this type of thing”. “ It’s too much work”, “but what will “they” think-“it won’t work” etc., etc. etc.